Also known as Kardak in the Turkish language, Imia is the name of twin uninhabited islets set amidst the Aegean Sea. The exact location of the islets places them in between the southwestern coast of Turkey and Dodecanese island Chain of Greece. Imia has been at the forefront of some serious disputes between the two countries which also led to a military crisis over the sovereignty of the region. The islets span over a total of 10 acres and some of the maps from the early 20th century actually show them marked as Ikizce. The disputes that were triggered over the region between the two nations are part and parcel of a larger dispute over the Aegean region. Amongst the matters of dispute are the territorial waters, Flight Information Regions, air space, continental shelf as well as the demilitarization of the islands. 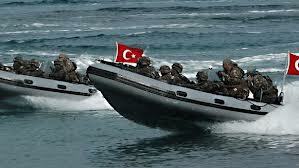 The crisis worsened when Turkey began to make claims that it was entitled to a larger portion of the islets. The Greeks however regard these islets to come under their sovereignty whereas Turkey has labeled them as Grey zones, meaning their sovereignty has not yet been determined. Although the conflict between the two nations over the sovereignty of the two states had been prevalent since many years, it was only in 1995 that the news was made public. The dispute was escalated after an unfortunate naval accident occurred on the 25th of December. A Turkish cargo ship by the name of Figen Akat mistakenly ran ashore at Imia and as a result was salvaged by the Greeks. The maps present with the captain of the ship showed the islets to be Turkish territory whereas the Greek authorities were of the opinion that it was their land. The first official notification of the situation was forwarded to the Greek authorities by the Turkish Foreign Ministry on the 27th of December stating there to be a serious sovereignty issue over the islets. Two days later Turkey made an official declaration claiming Imia to be Turkish Territory. This was a very serious matter, yet the media was not making the news of this dispute public and hence the Greek and Turkish population remained unaware of the situation at large. However, The Turks made it public in January the next year shortly after the new premier of Greece took office. The Greek press was quick to react and in what followed it up, the world saw the Greeks hoisting their national flag on the islets. In protest some Turkish journalists made their way to the islets and hoisted the Turkish National Flag on the Islets. This was followed up by hot words being exchanged between the premiers of the two countries and soon enough you had Greek and Turkish commandos setting out for Imia. The problem was further escalated when a Greek helicopter crashed on the islets reportedly due to Turkish fire. A number of Greek and Turkish commandos were killed during the tense times and eventually cease -fire and peace was achieved between the two nations with the help of U.S intervention.